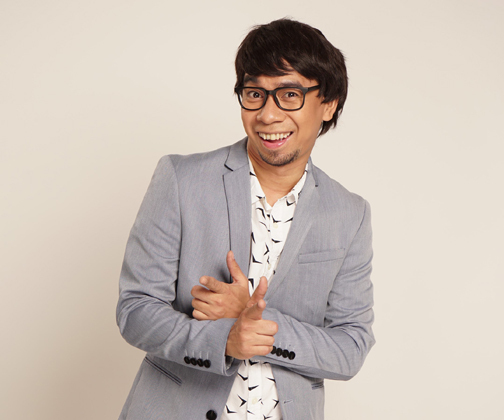 Rocksteddy frontman Teddy Corpuz is hopeful that his launching movie, Papa Pogi, will entertain people on the big screen. The film, a Regal Entertainment, Inc. offering, explores a single man’s search for his one true love. It also presents a concept that while we all want love, looking for someone we want to spend our life with is not an easy task. Though the premise of the movie is not new to the viewers, Papa Pogi’s trailer has garnered more than nine million views on Facebook, which indicates netizens are intrigued by what the movie presents. Teddy Corpuz gets his big break in the new film. “What makes our movie special is all of us, the cast’s amazing wit and talent, plus we have a script written in a crazy way. We believe na maganda ‘yung movie na ‘to na steady laughter trip na magugustuhan ng madlang people,” says Teddy, who plays the character Romeo in the movie. Donna Cariaga, who plays one of the leading ladies in Papa Pogi, agrees that the strength of the movie lies on the story itself. “Let’s say all is fair in love, it’s not even the looks of a person that will define your chances in finding that person you’re going to spend the rest of your life with,” shares Donna. The lead cast of Regal Entertainment's 'Papa Pogi,' a romantic comedy about a not-so-handsome guy cursed to look attractive in the eyes of beautiful girls. “Like the role I am playing, I’m glad that they chose me to play Romeo’s love interest. Nagpapasalamat ako naging bida ako sa film. As a comedienne, it fulfills my mission to make more audience laugh,” The Funny One Grand Champion adds. For Myrtle Sarrossa, she believes that there are choices that we have to make towards finding love. “You do crazy things in the name of love, and that’s the mantra of my character, Helena. She’s not the type of character that would make you laugh when she tells a joke, but she will still make you laugh because all of us can do funny things unintentionally when you are in love, and heartbroken,” Myrtle explains how people can relate to her character. Directed by Alex Calleja, the film is about a family cursed by an unattractive woman. After their patriarch’s (played by Joey Marquez) multiple affairs in the past, he encountered a woman that would change their family’s destiny forever – every next generation member of their family would be born ugly if the mother of the child is beautiful. “Romeo is the only hope of their family to break the curse. He needs to marry an unattractive woman,” the director explains. 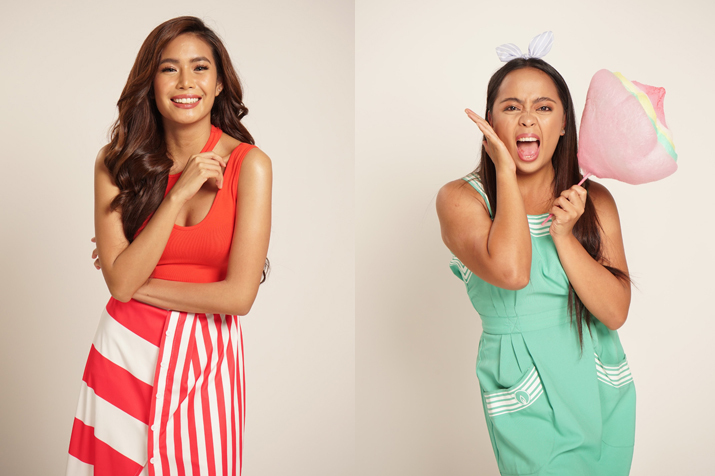 Myrtle Sarrosa (left) tries comedy anew in 'Papa Pogi while Donna Cariaga (right) is a lead actress in the movie. While he seriously contemplates on finding the right girl, he does not pay attention to Venus (Donna), his secretary, who is secretly madly in love with him. Eventually, Romeo meets Helena (Myrtle), a beautiful and attractive woman, who gets employed as Romeo’s secretary after Venus disappears. In the course of events, Romeo realizes that he needs to choose between Venus, a woman who has been loving him for a long time, and Helena, the woman whom Romeo holds his affection to. Papa Pogi unspools in cinemas nationwide tomorrow.